Modern automotive design engineers stick to conventional vehicle design, careful to not deviate too far from successful predecessors. It is uncommon to see a new car deviate too far from prior lineage. This was not always the norm though. Manufacturers looked to artists, inventors, and outside the box thinkers to materialize the future of automobile design. 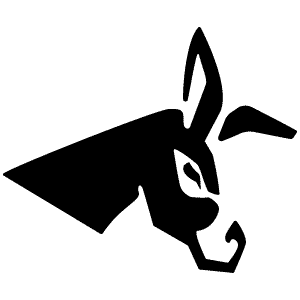 Independent companies were contacted to bring new design ideas to existing brands. 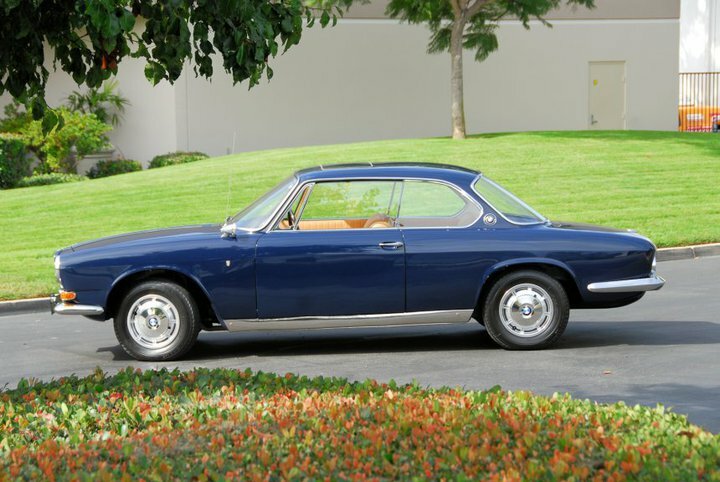 Below is the Pininfarina redesign of the Lancia Flaminia, with this one being a 1964 Lancia Flaminia Tourer. The swooping, finned rear of the car and aggressive hood scoop were key design features. It was the flagship model of Lancia through the end of the decade and offered luxury and class. 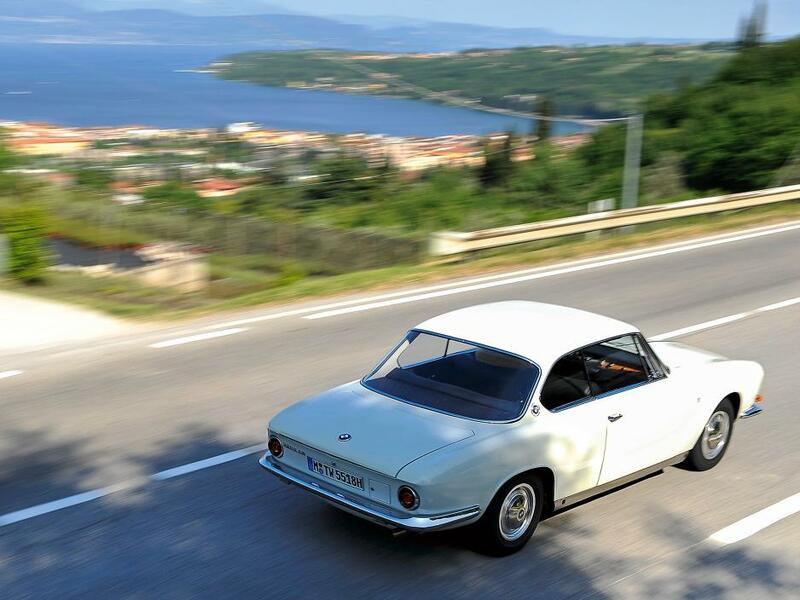 Named after the ancient Roman road, as was traditional for Lancia’s developed at the time, the Flaminia Coupes outsold the four door models. 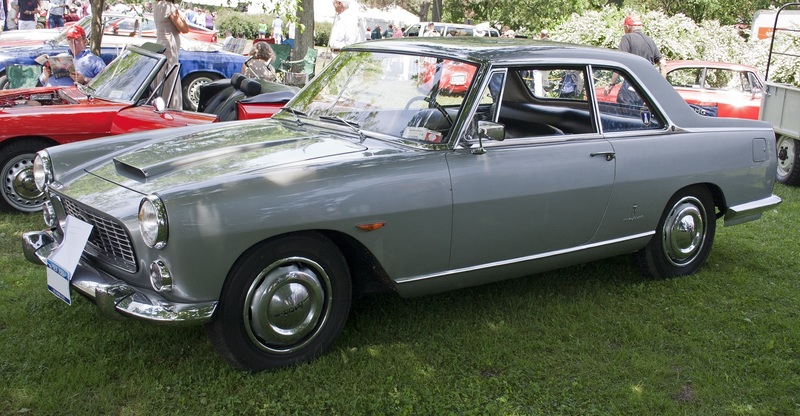 The Flaminia was not the most appealing car to come out of Lancia but carried with it styling cues of the era. The dominating grille and chrome trim flashed the elegance of this Italian luxury machine. A 2.5 liter single carbureted Lancia V-6 powered the first version, followed by a more powerful 2.8 liter V-6. A four speed manual or Saxomat automatic were both offered. 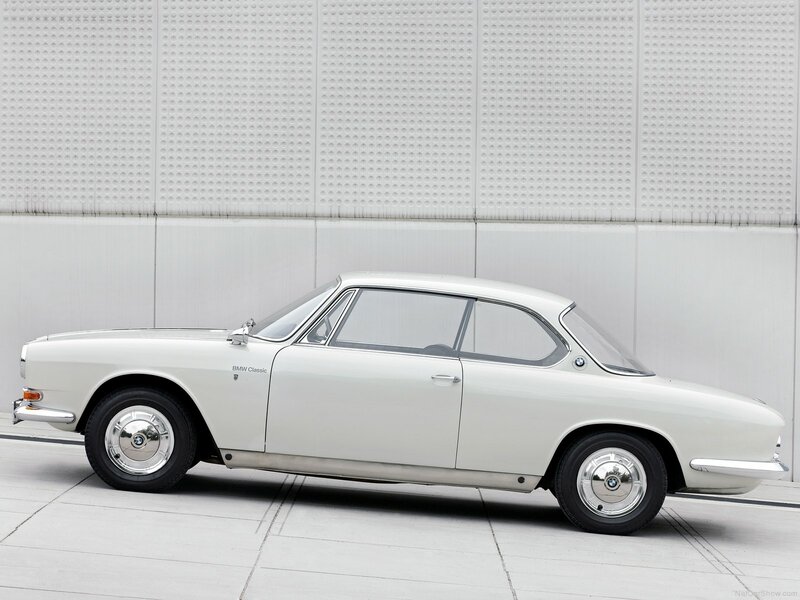 In 1960, Helmut Werner Bonsch, BMW’s marketing manager, discovered that the Pininfarina body for the Lancia Flaminia coupe would fit on the chassis of a BMW without major modification. The 503 was offered in both Coupé and Cabriolet variations. 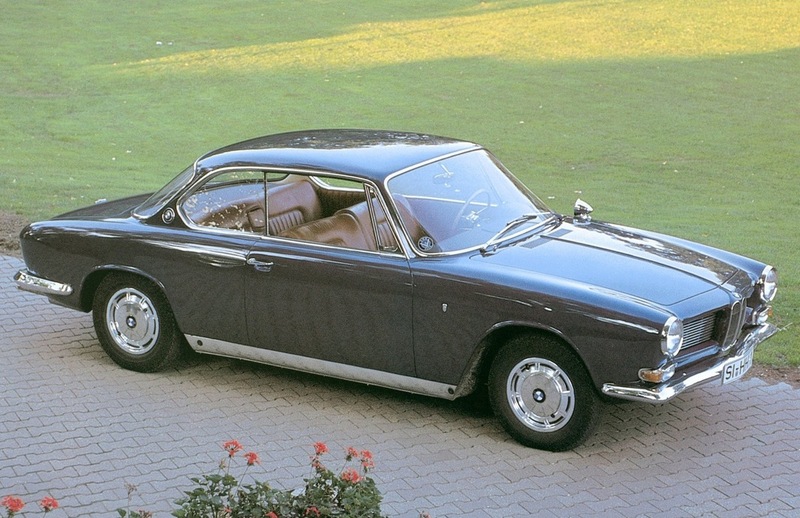 He proposed to BMW’s management to commission Pininfarina to build Flaminia coupe bodies with BMW grilles in order to create a successor to the bullet-nosed 503, which had been discontinued in 1959 (shown above). After all, the body lines were similar with only two front head lights and a seemingly endless hood. The grille and front end changes were the major differences between the two cars. 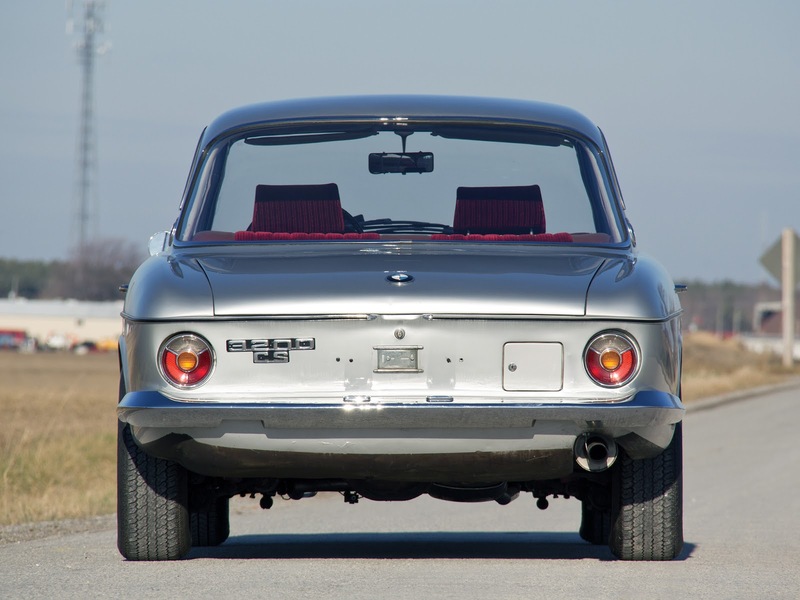 The rear of the Flaminia had slightly more finned tail lights than the 503, but the makings of a finned tail end were still evident in the 503. 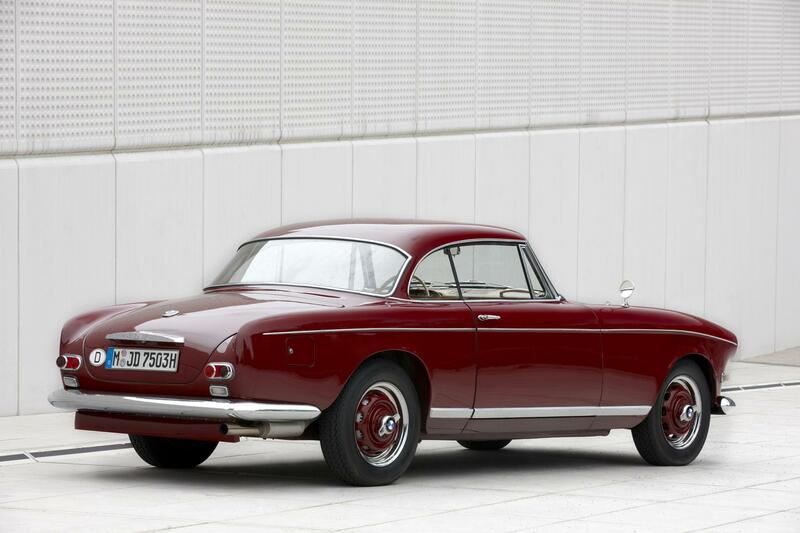 The rear glass was different and clearly shared the same design as the 507 hard top. Unbeknownst at the time, the direction of the company lay in this decision. 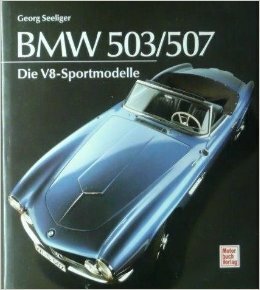 The 503 was was a relative failure with an actual price of more than double what was initially projected, BMW failed to earn a profit on any of the 412 sold.This was also the case for the related BMW 507, although that car greatly overshadowed the 503 and almost pushed BMW into bankruptcy. 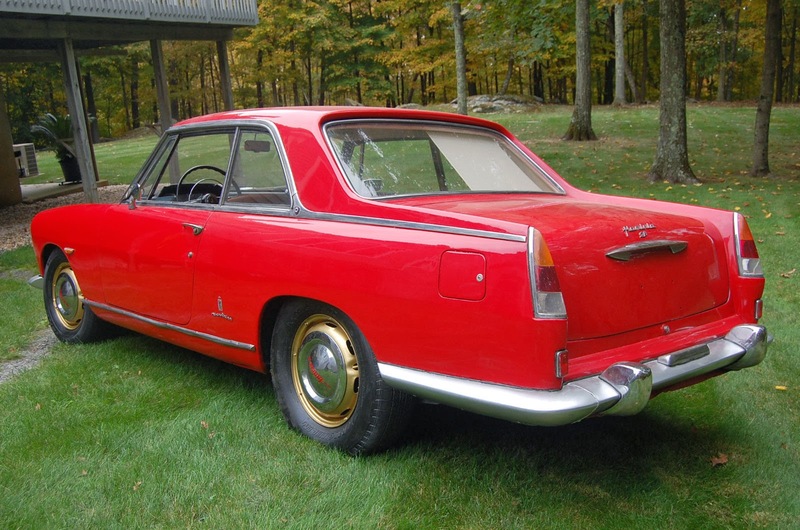 Interestingly, Farina believed the 503 was a much superior design to the popular 507, even though it was heavier, more expensive, and generally seen to have much less attractive styling. 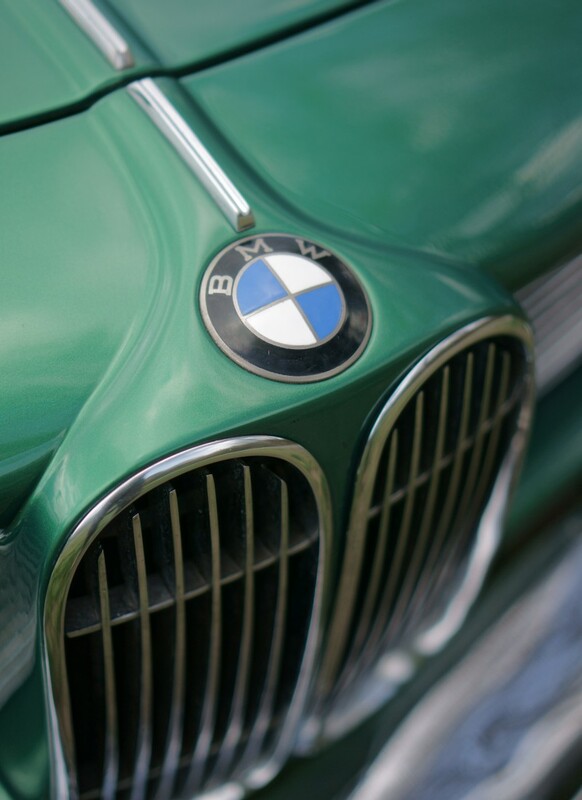 Bonsch did not know that BMW had developed a close relationship with Bertone in the early 1960s. Gruppo Bertone was an Italian car styling and coachbuilding house based in Turin. It was founded as Carrozzeria Bertone in 1912 by Giovanni Bertone. 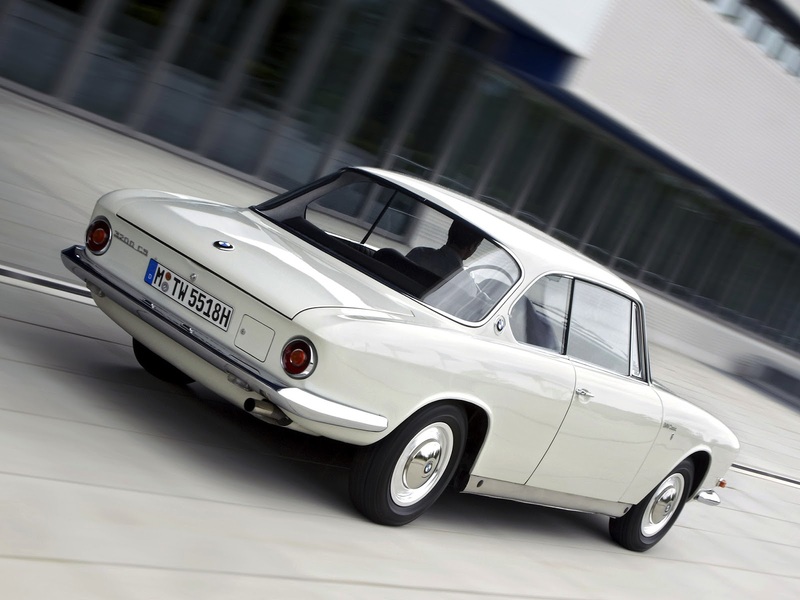 After deliberation, BMW’s management rejected Bonsch’s proposal and instead ordered the chief engineer to commission Bertone to design and manufacture a coupe body. Bertone had a young designer working for him at the time by the name of Giorgetto Giugiaro. 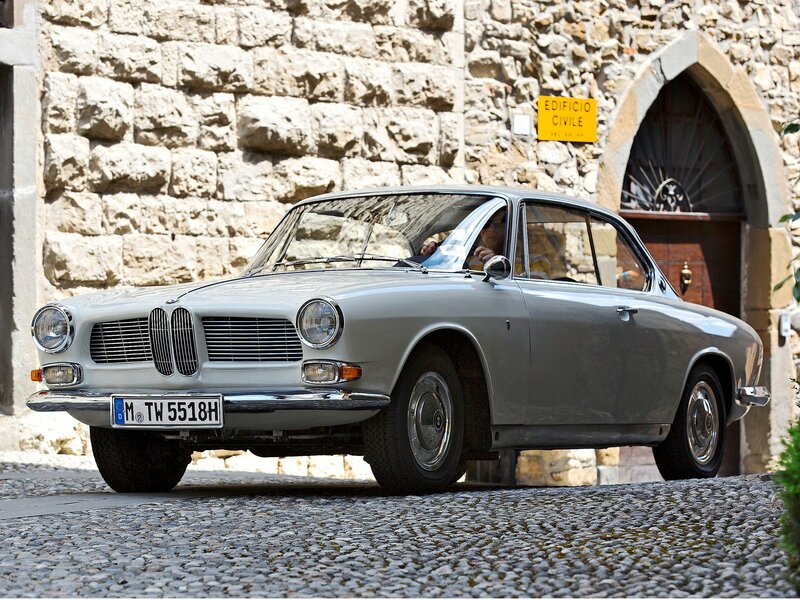 Together they produced the elegant and premiere italian masterpiece known as the BMW 3200 CS ‘Bertone’ unveiled at the 1961 Frankfurt Auto Show. 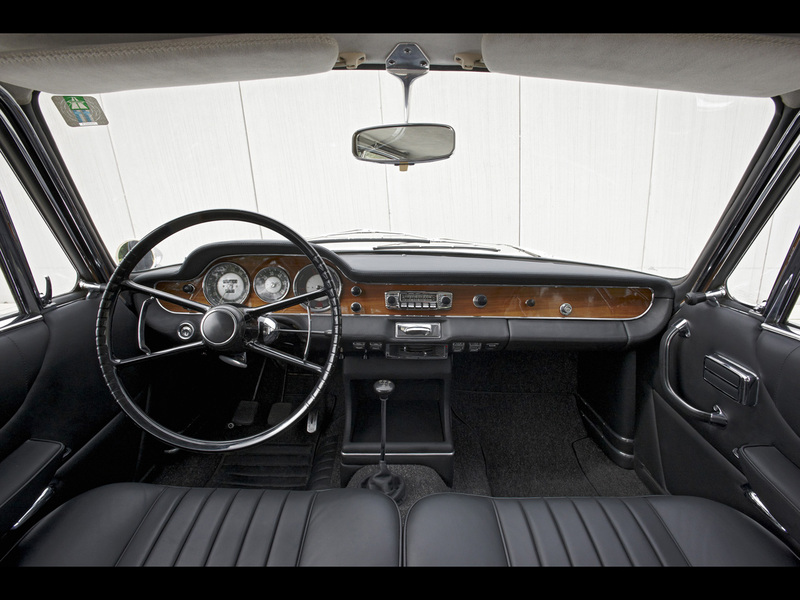 The car was elegant and refined. It featured a 3.2 liter V8 and a four speed manual transmission. It combined all that was sophisticated inside for a truly stylish package. Chrome transformed the front end of the car, making it wildly different from the 503, yet strikingly similar. The CS in the name stood for Coupe Sport signifying the natural combination of elegance and practicality. The sleek body flowed well from the two headlights at the front of the car. You do not see side molding or trim detracting from the clean lines of it’s Italian design. 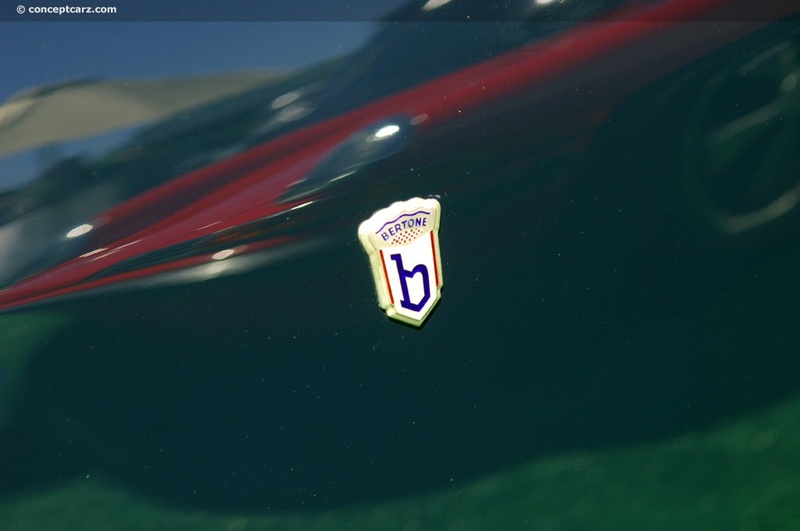 The Bertone badge adorns the fenders of the 3200 CS to proudly, yet subtly, announce that this is no ordinary BMW. Body hugging bumpers enhanced the Italian look. Chrome mirrors were fixed to the front fenders to accent the chrome grille and chrome door handles. The mirrors mounted to the fender are a nice touch that do not ruin the looks of the CS. Interestingly, not all models had them on the fender. A large four spoke steering wheel pointed the front end of this car to the future. 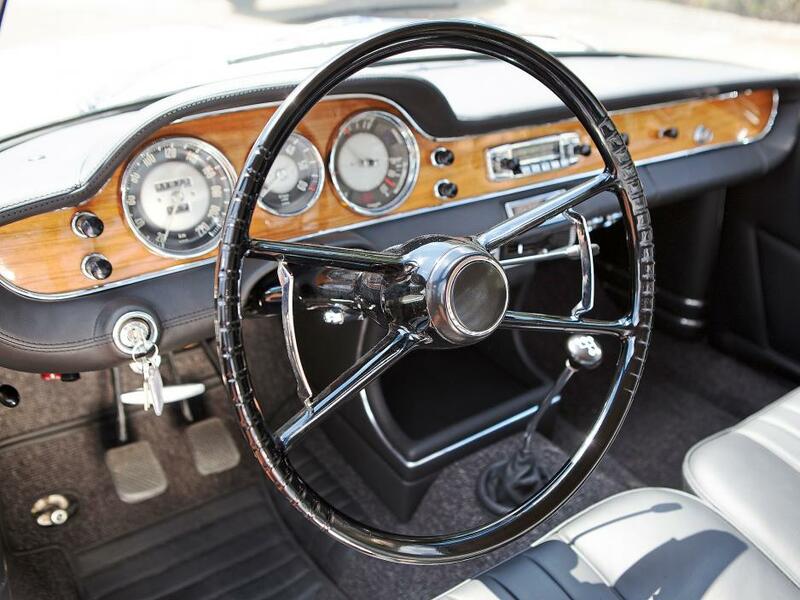 Those with a keen eye will recognize this is the same style steering wheel as used in the earlier 507. The cockpit was unassuming, luxurious, and practical. Leather seats hug the driver and passenger in a way unlike any seat does to this day. 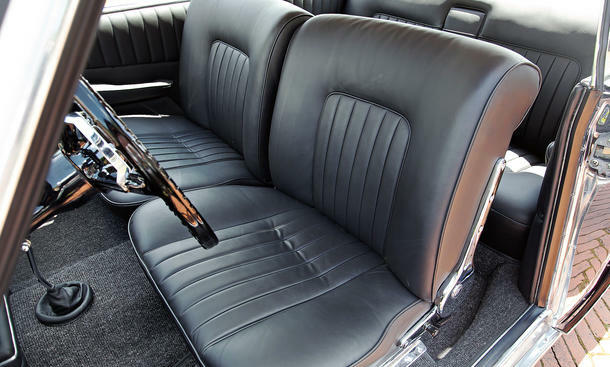 Headrests were not integrated into the seats but there was an armrest in the rear seats. 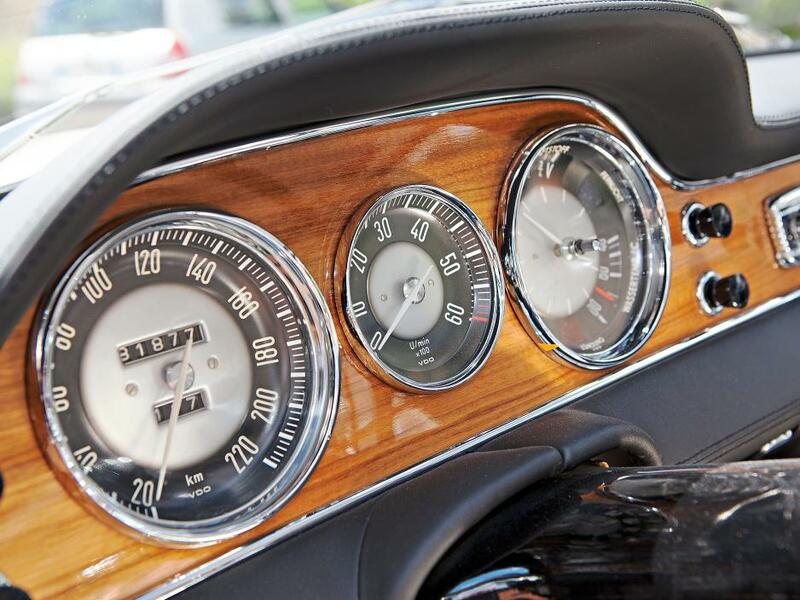 A wood trimmed dash wrapped in leather showed no shortcuts were taken. A radio came standard but was the centerpiece of a simple yet stylish interior. The dual carburated engine produced a thunderous 160 horsepower. The pushrod V8 was the standard BMW V8 of the time period, and exuded high performance. 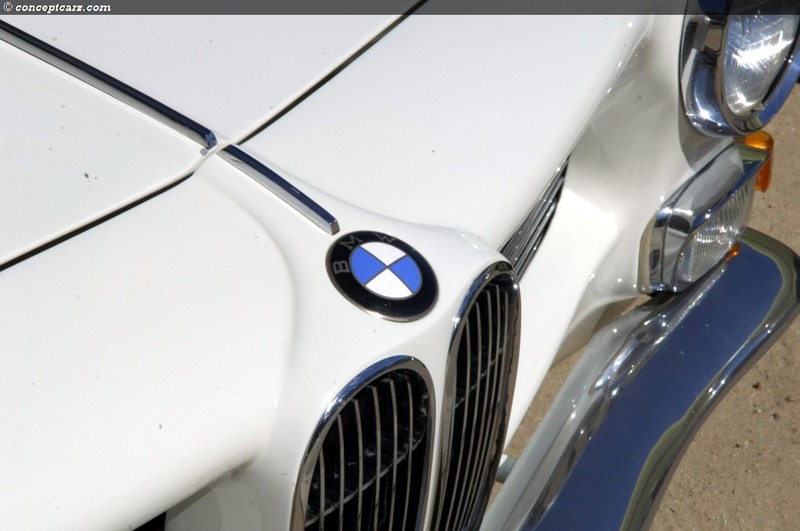 It was the last BMW to utilize pushrods before the infamous BMW inline sixes. The aluminum block provided performance without sacrificing balance and handling. 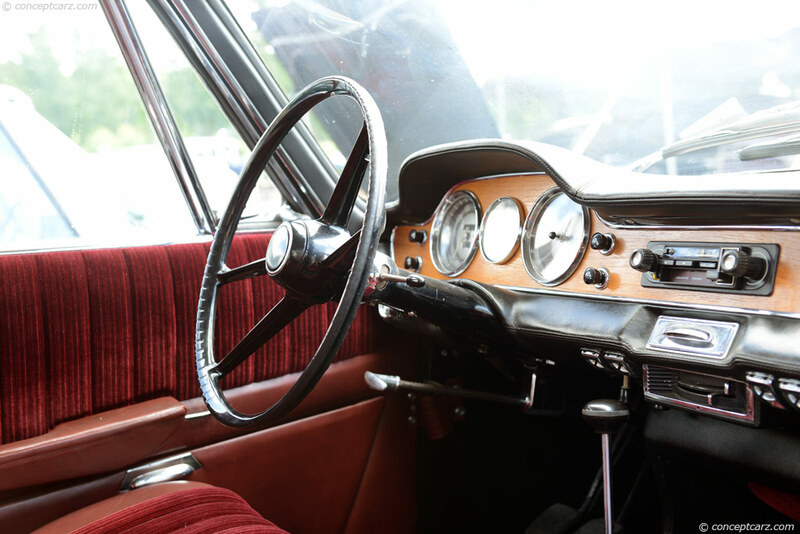 The four speed manual transmission put the power to the ground for an impressive top speed of 120 miles per hour in 1962. To stop this fleeting missile, front disc brakes came standard on the CS. The car cost $7,500 dollars new and was aimed at a specific and exclusive clientele. The V8 BMWs were expensive to produce and were putting BMW out of business, so BMW had to regroup and reconsider the direction of the company. The Neu Klass models that ironically debuted at the same auto show as the 3200 CS in Frankfurt in 1961, excited the public and offered a solution to the expensive V8’s. The 1500, 1600 and later 2002 featured a smaller, four cylinder engine that was less costly to produce. They also featured the iconic ’roundie’ tail lights that were seen in the 3200 CS design. 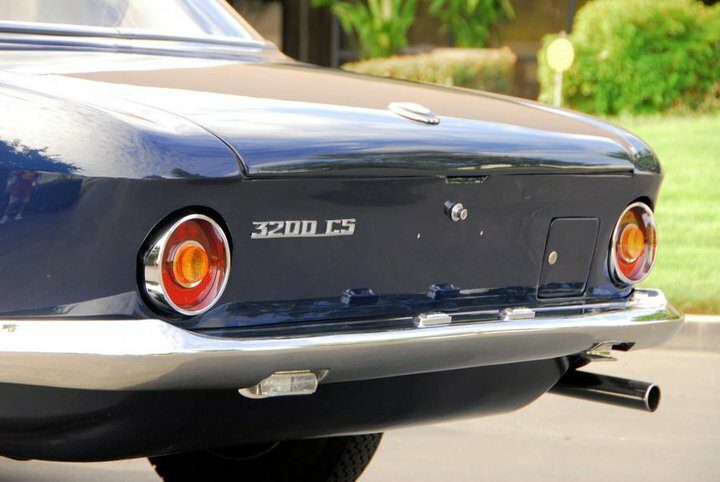 Just like that, the 3200 CS was discontinued in 1965 in favor of the smaller, lighter new class of cars. However, the passing of the 3200 CS was the end of an era. 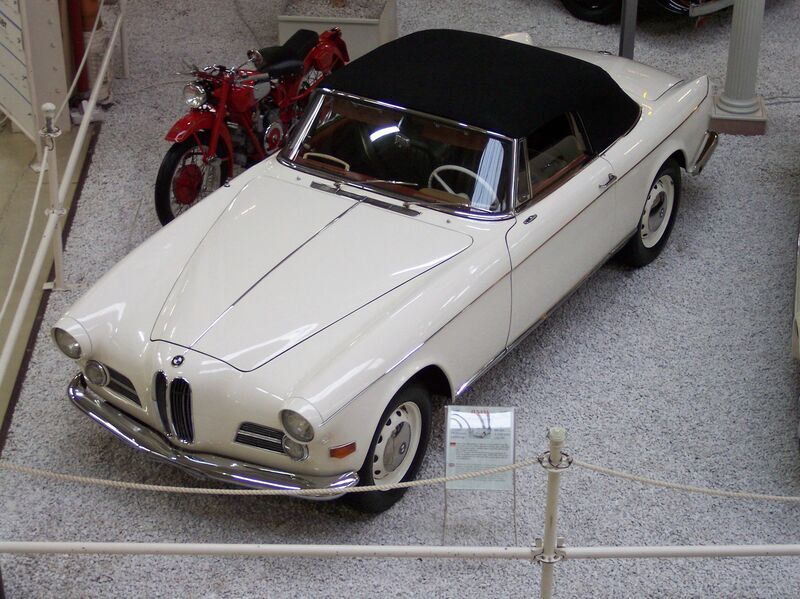 It was the last BMW pushrod V8 and last of a series of post war era luxury vehicles. In a way, this car was BMW’s last try at the luxury market before surrendering to a different strategy in the wake of the second world war. 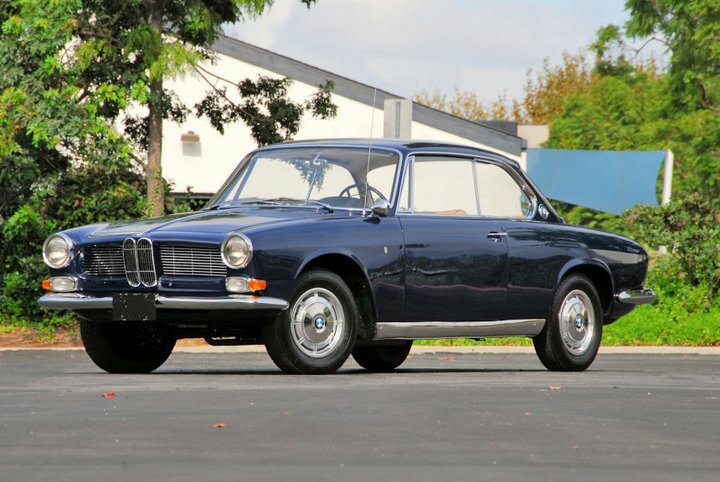 Though the car was discontinued, certain design features of the 3200 CS were carried over to future BMW designs. From the back, the 3200 CS looks very similar to the e9 3.0 CS that came a few years later. The rounded, sloping rear trunk line and huge wrap around style rear glass defined elegance. To keep the clean lines of the body, the fuel door was placed on the rear clip. The later e3 kept the fuel door in the same place, only relocating it slightly left, to behind the license plate. The fabled ‘Hoffmeister Kink’, shown above, was a Bertone designed feature in the 3200 CS and has been a crucial aesthetic feature for almost all BMW’s that have been produced since. It is funny that the kink is not credited to Bertone, perhaps due to the successors that all carried it. Other credit goes to the new entry level model 1500 which was also introduced in 1961. That car was not, in any other way, comparable to the striking looks of 3200 CS. With the overhead V8’s passing, the Neu Klasse came to be the future of BMW and the sport sedan. BMW closed the book on the eight cylinder engine and customers had to wait thirty more years until a V8 would again grace the engine bay of a BMW. The two door, four seater was considered a success, but only 603 examples were produced from 1962 to 1965. This exclusivity makes the 3200 CS a collector’s exciting fantasy. The 3200 CS is the predecessor to the six series and is therefore the great-great-great grandfather to the current BMW M6. (F12/13 -> E63/E64 -> E24 -> E9 -> 2000C/2000CS -> 3200CS). The sport coupe grand tourer theme of the CS has carried over to every six series since. Bertone’s car influenced BMW design for the next twenty years. 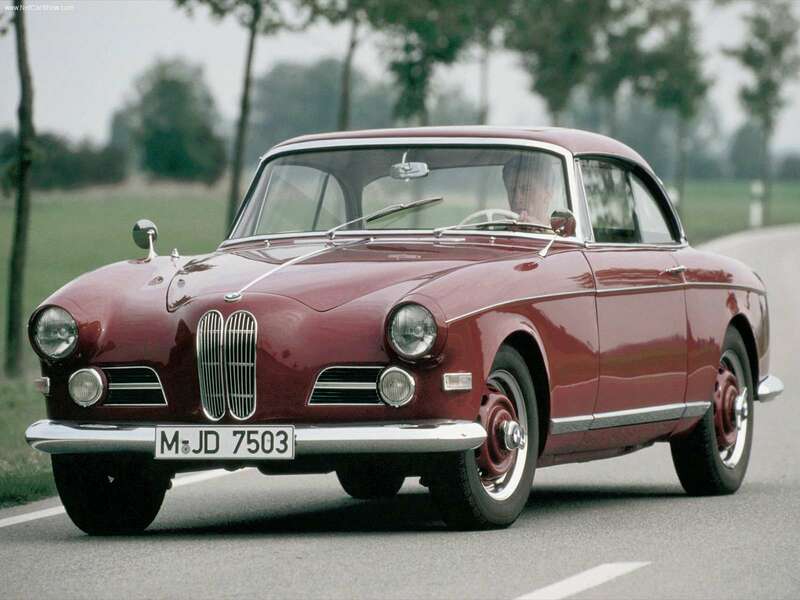 It’s low number production run led to the decision to go with the smaller, lighter, and easier to produce family sports car, the BMW 1500. 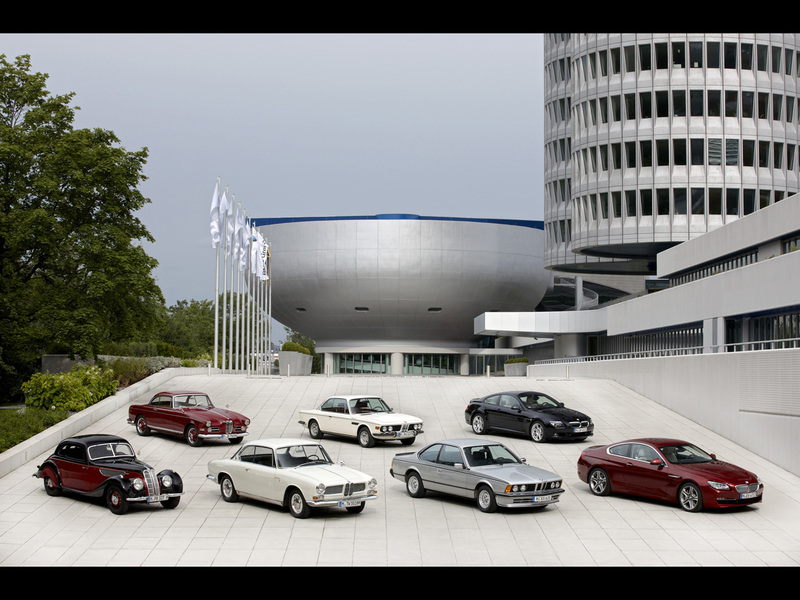 But that is not all that the 3200 CS did for BMW. 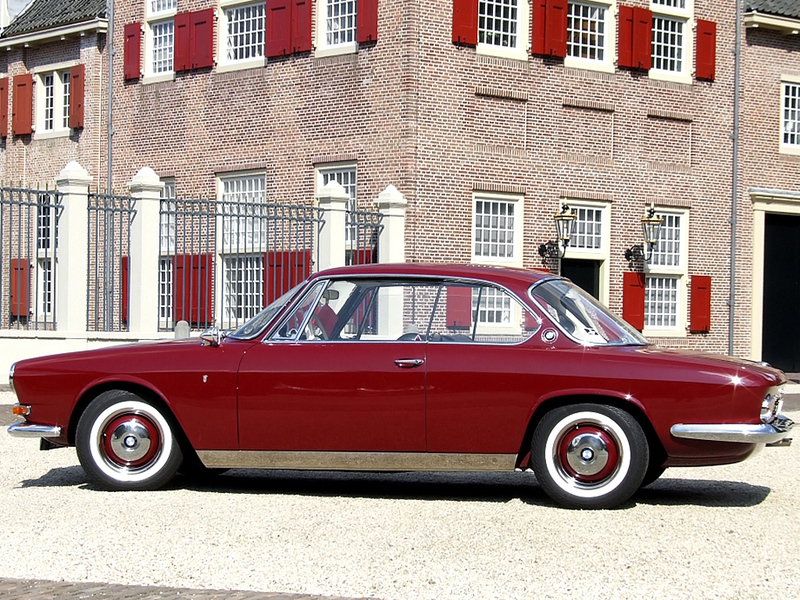 The Bertone design was the building block that shifted the history of the entire company. If Bertone had not been selected to design the 3200 CS, the Hofmeister Kink and corresponding 3.0 CSL and later E24 M6 would not have existed. 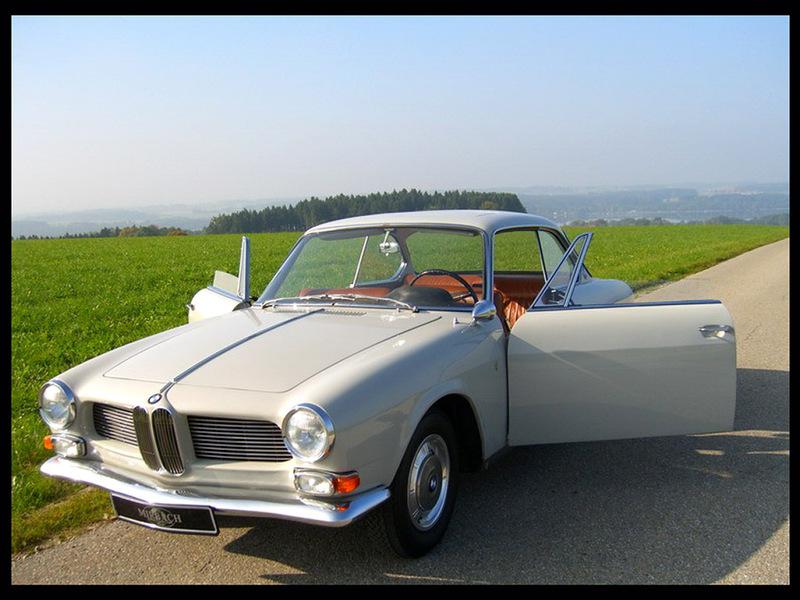 If would be fair to say that BMW as we know it would not exist and it can all be attributed to the design by Bertone. Traces of Bertone design can be found in the new i8 and numerous other models. 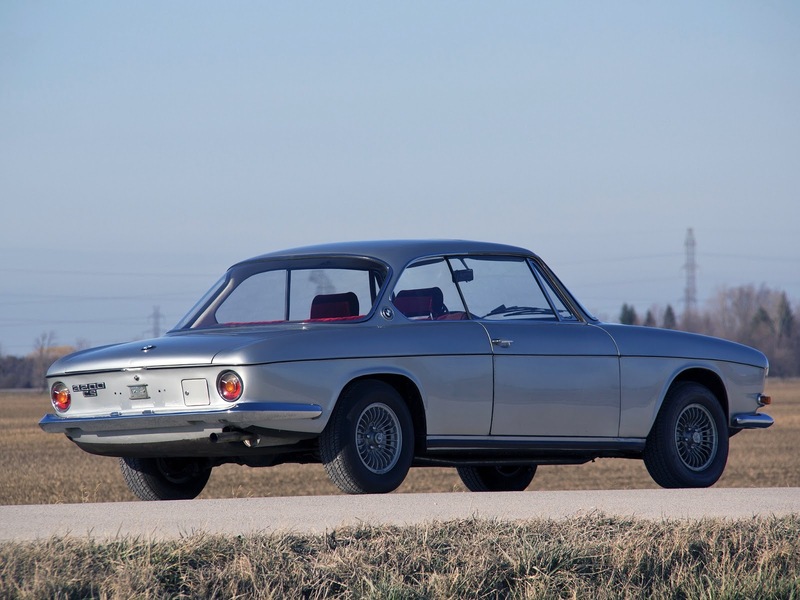 The selection to use Bertone for the coupe sport was especially important in getting BMW to where they are today and allowing them to move away from luxury cars. This decision moved the company into the niche of middle class family sedans and out of the exclusive luxury automobiles. If things had happened differently, it is possible the iconic blue and white symbol we know would no longer exist. After all, Lancia has since gone out of business. 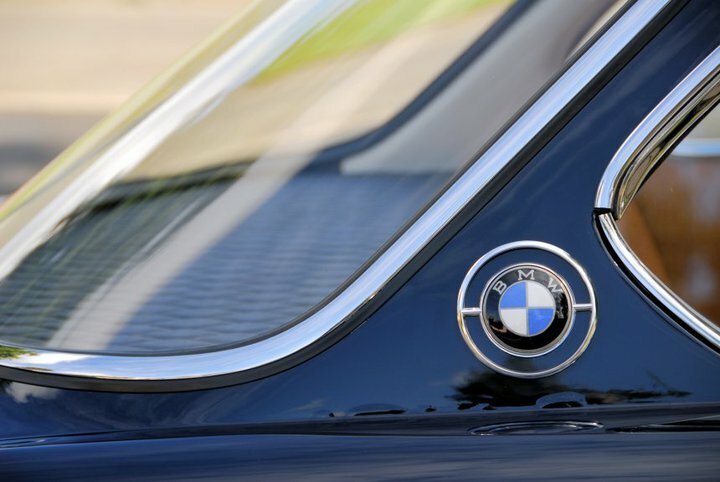 Furthermore, which badge takes precedence at a classic car show, and which badge is more recognizable? 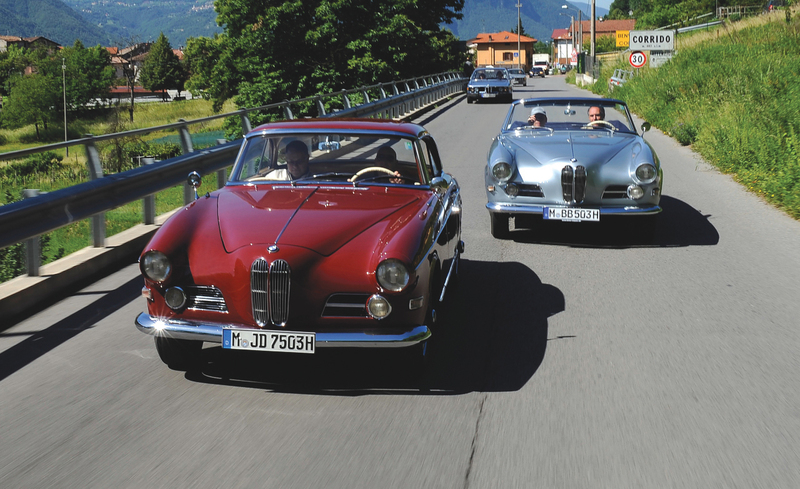 The 3200 CS is how BMW was built by Bertone.